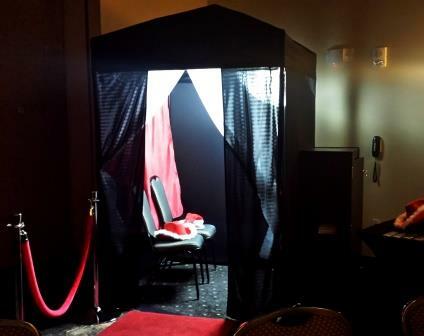 Check out our AWESOME Photo Booths for weddings or any occasion! 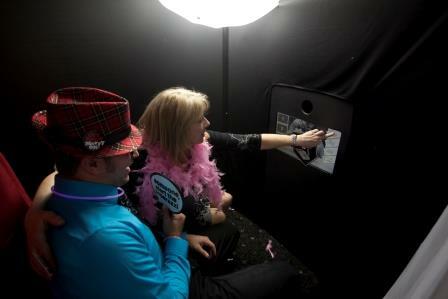 Wonderful photo booth features and easy touch-screen to use. Your guests will leave you a lasting memory book! 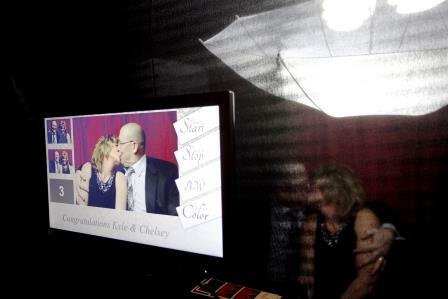 Attractive black curtain exterior, white entrance curtains, and red velvet drape photo booth backdrop. High-quality DSLR Canon camera with perfect focus, soft lighting, and excellent photo booth framing, even tone and brilliant color. The pictures are what set us apart from others! 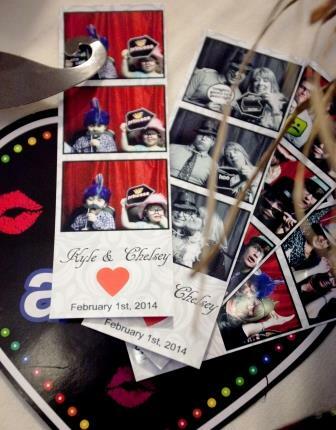 Professionally dressed photo booth attendant will guide your guests and compile your photo album for you! 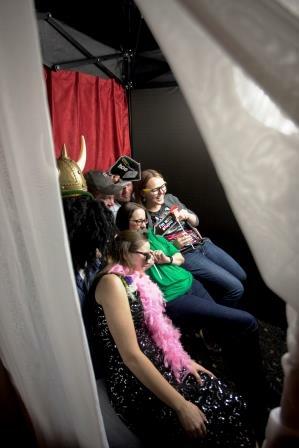 Powerplay DJ provides Photo Booths for all occasions serving a large area including North Dakota, South Dakota, and Minnesota. Cities include Fargo, Moorhead, Grand Forks, Bismarck, Minot, Dickinson, Williston, Wahpeton, Jamestown, Valley City, Detroit Lakes, Fergus Falls, Alexandria, Thief River Falls, and more.